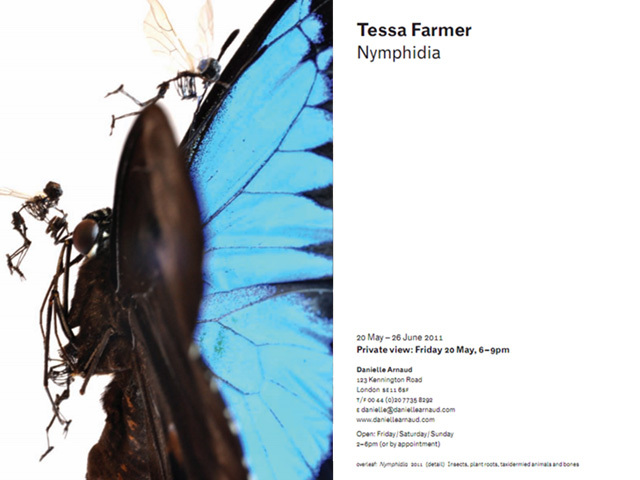 Friday i attended the opening of Tessa Farmers 'Nymphidia' exhibition at the Danielle Arnaud gallery. Situated in a South London Georgian town house, it makes for a wonderfully unique exhibition space. As you walk around the rooms of the house, each installation merges into the next so that you no longer view the artworks separately, in fact the house itself becomes the installation. The fairy warriors Tessa creates appear to be getting more resourceful in the construction of their flying warships. Made out of various bits of animal debris, the results are becoming more nightmarish and macabre in nature. You can spend a good 10 minutes just observing each creation, finding new bits of detail and narrative as you go along. To help extend the narrative of the pieces there was also a selection of short animations which were incredible, especially when you consider the miniature scale of her work. Looking around the internet i've found one of the animations for you to look at here. 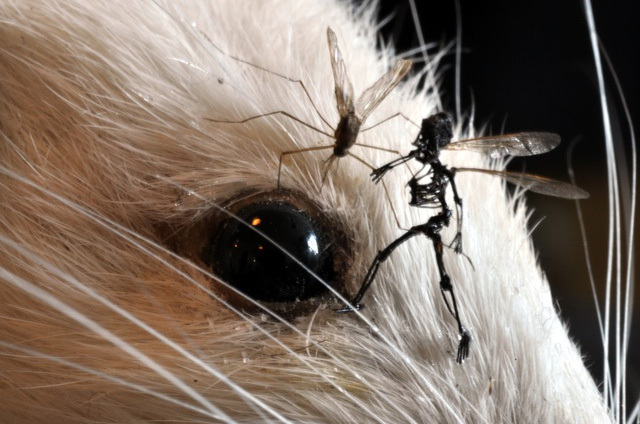 What i love about the exhibition however are the smaller installations you could miss, such as the wasps around the window sills and the small mouse about to get ambushed by a lone warrior in the corner of the living room. So if you want to see it for yourself head down, the show runs until the 26th June.